It's party time for Pinkie Pie and Songbird Serenade! Pinkie Pie and her fellow party pony, Cheese Sandwich, are throwing the biggest party of their lives: a special bash for all the nominees of the upcoming Glammy Awards (Equestria's most prestigious music awards show). When Pinkie busts a move, she catches the eye of Songbird Serenade, the most famous pop star around. Pinkie's moves are so impressive she earns herself a spot as Songbird's backup dancer! But when things start to go missing during rehearsals, it's up to Ponyville's favorite permanently peppy pony and her new famous friend to get to the bottom of it! 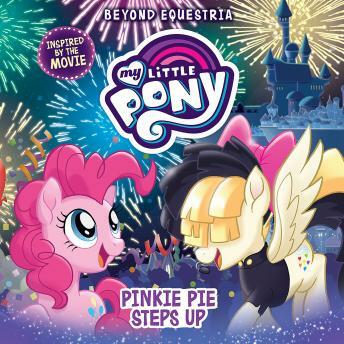 This exciting original middle grade series featuring My Little Pony continues the story from the feature film!